By talking to Jean-Paul Mendy (IBF #1), and seeing the confidence he possesses, you'd almost think that he was the champion defending his title on Saturday night, rather than the other way around. Few fighters, in his position would be able to possess such a calm and collective demeanor, but for Mendy his fight against IBF Super Middleweight Titleist, Lucian Bute, in Bute's home country of Romania, seems to be just another day in office. 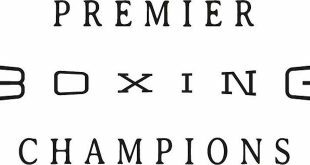 Mendy challenges Bute this Saturday night at the Romexpo in Bucharest, Romania. The bout is promoted by Euro Plus Computers S.R.L. and Interbox in association with Joe DeGuardia's Star Boxing. "Training camp was very good, I worked very hard for this fight, and I am ready to go Saturday night," stated Mendy. 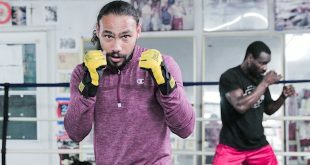 While Bute is considered by many to be the top super middleweight, and one of the top pound for pound fighters in the world, Mendy says he doesn't see anything in particular that overly impresses him. "I have had a very long career in the sport, and seen many different fighters. I competed in the Olympics and have yet to be beaten as a professional. To me Lucian Bute is just another fighter. The only difference is that he is a champion, and for that I'm very happy that I have this opportunity to finally fight for a world championship." 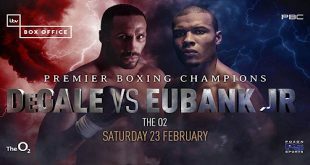 The fight Saturday night will be only Bute's second as a professional, and first as world champion in his home country of Romania, and a raucous crowd is expected to be on hand. Again though, Mendy is unfazed, if anything, he is excited about it. "I have been to Romania before and I really liked the country and the people so I am very much looking forward to fighting there. I expect everyone there to be cheering for him, but the ring that night will be just like any other ring I have fought in. The fans, whether they are for me or against me, will stimulate me, and I will feed off their energy. I know that as long as I am myself and box like I know how, I will be victorious in this fight." Bute (28-0, 23KO's) vs Mendy (29-0-1, 16KO's) is scheduled for twelve rounds and will be for Bute's IBF Super Middleweight Championship. 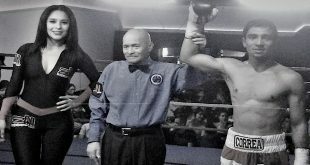 The bout is promoted by EuroPlus Computers S.R.L. and Interbox in association with Joe DeGuardia's Star Boxing.